Popcorn in different flavours? What could make it better? 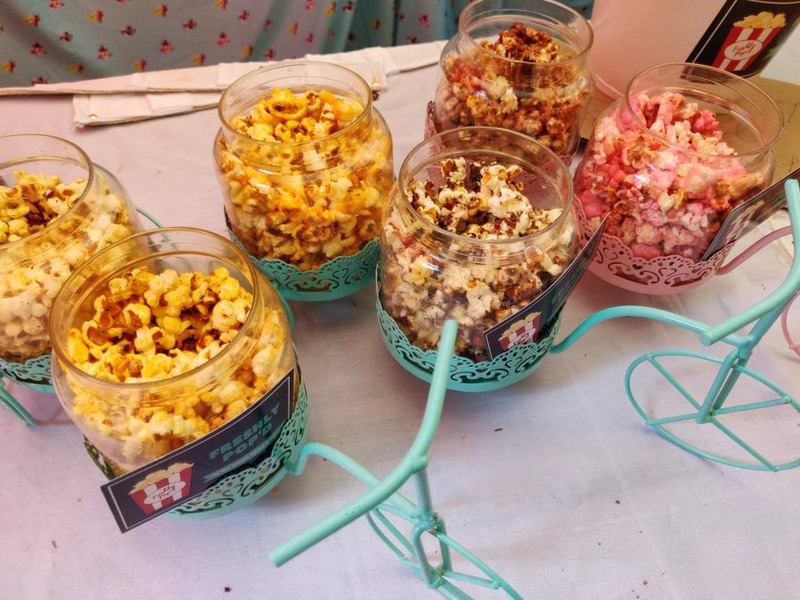 Started by people who know that there’s no situation that would be made worse with popcorn, Freshly Popd will have you snacking away on cotton candy or oreo flavoured popcorn while you catch up on the neighbourhood or Netflix show drama! If you’ve been to a flea market or bazaar recently and seen people walking around with giant tubs of popcorn, these guys are the source. Pricing it between INR 150 and 200 for a tub size that costs three times the price at any theatre, the popcorn is currently available only through delivery. Cotton Candy, Chilli Cheese, Oreo, and Pizza, Chocolate and of course Caramel are the current flavours (the last time we tried). If you’re buying it at a fair, it’s popped and made fresh, and great to share. Delivering to most parts of town, they have cute packaging and will arrive fresh (through Dunzo) to your doorstep, and still a bit warm. The sweeter flavours are coated on the regular pop-corn, so it’s a good mix if you like some umami. The chilli-cheese is a personal favourite (it’s like cheese puffs, but popcorn form), and the pizza flavour (with hints of oregano, chilli, and olive oil - you can smell it when you open the pack) is great too. Since they only operate out of social media for now, they might not deliver to you immediately, as all their popcorn flavours are made to order.